Seneca Lake Wine Trail ALL Year ! No matter the time of year, there is Always something happening along the Seneca Lake or Cayuga Lake wine trails. Contact the professional staff at Finger Lakes Wine an Transport to schedule your day trip today for parties of Six people. Most of Our Wineries are Open every Day , except the big Three Holidays and Making an Appointment for your Winery visit is Not Required for our Company. For Our Visiting Wine Tasting Friends choosing to Find the Best Local Hotel Bookings – Please click the Red Banner listed under Useful Links.. Should Your Group desire a Local Bed & Breakfast in the Area – Please Click on the StayFingerLakes.com Link for a complete Listing..
For Our PENN Friends – Visiting from the Great state of Pennsylvania – We Know Your Visit or weekend Get-A-Way – to Southern New York, will Give You and Your Group the Wonderful Opportunity to Save Cash on Your Wine Tour purchases.. We had many Tourists Visit since 2005 and brought two – four Cases of Wine home with them. All Returning Customers will receive $50.00 off or rebate..
We promote the Legal Information Institute through the Cornell University Law School.. Because we have Transported so many of the CU Admin and Professors since 2005 , we Believe in Supporting the American Constitution and higher Education.. However , the Legal Information Institute, LII cannot and does not provide legal advice or interpretations of the law. We are prohibited by law from doing so. We will not answer or reply to requests for legal advice, so please do not ask. If you need legal advice, you Can find an attorney in our lawyer directory, or you can ask your question to our partner, JustAnswer, who may be able to assist you. The JustAnswer link is provided as a convenience to LII users. Since FTanT.com is a Legal Information Institute user and Orlando was CU Staff in the past , He continues to support LII and Gives the Law School special discounts in booking Transport.. JustAnswer is a separate company with its own pricing and service terms. LII is not responsible for information provided by the JustAnswer service. Fingerlakes Transport an Tours supports the CU Law School and the Legal Information Institute. The Tenth Amendment to the United States Constitution and Many Others are Here Follow This LINK: http://www.law.cornell.edu/constitution/tenth_amendment Then Click on UP to See Our U S Constitution. In Regards to Cancelled Transport and Tour Services that are Booked with FTanT.com- Fingerlakes Transport and Tours – Ithaca , New York ..
48 Hours Notice is Required to Cancel with a full refund! If You are trying to cancel / refund , I will try to Re-Book the day – Hopefully , Someone will come forth and Book that Day that was cancelled. People call and Book , but sometimes we can not Offer the Day , You Booked on – since those Days are locked In by Your payment.. I Hope that Someone comes Forward and Books that day , because I have to secure a minor charge for Holding that Day Only for You – should no-one Else Book for That Day.. Tour Transporters / Wine Tours , are Booked and Rented by Time with FDCC, LLC and when Locked In , they can not be Rented by Others..
We Are Hoping that Someone turns Up and Rents the day that You contracted for – Now that I know It Is Open for Rent Again .. Most of your charges may be refunded , should this Booking go That Way.. Should I not be Able to re-rent the SUV Transport – I need some sort of fee should I Not be Able to re-schedule a Tour and make nothing.. I will be as generous as I can and Hopefully Your Group Will rise Up and follow through with the Limousine Booking .. Please Notify Me Should Your Group decide to still rent the Day Or a Future Tour .. I will Try to re-rent the Transport , so that You can get a full refund.. 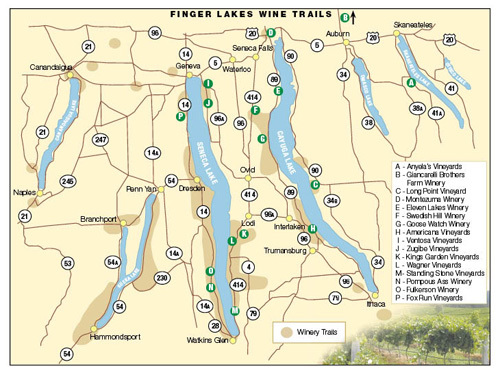 This entry was posted in Finger Lakes Wine Trails and tagged Finger Lakes Wine Trails on January 4, 2014 by admin.